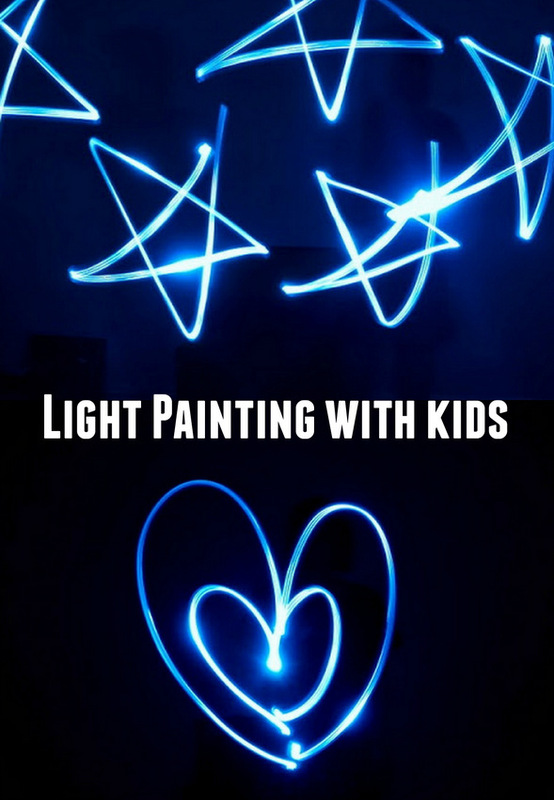 Now if you've got some time to spare before the ball drops (or you've got some super energetic kids who need something cool to do), you can try your hand at making some light drawings too! 2. Set your camera to a very long exposure (for example, 30 seconds). Optional: For better results, manually focus on something where your subject is going to be. 3. Turn off the lights in the room. 4. Start taking your photo. 5. Run into place and shine your flashlight in a design. And that's it! Now go and release your fabulous inner Picasso self. Happy New Year friends!